If you have a heating system in place, you should know that there are plenty of components that go into an efficient setup. Unless you’re a professional, installing these components by yourself can be quite a daunting task. This is why we encourage you to work with us at Phoenix AC & Heating Experts. We provide affordable and licensed installation services that come with a certified warranty that you can trust. Assess the condition of the existing pump or furnace if repairs are possible or a full replacement is in order. 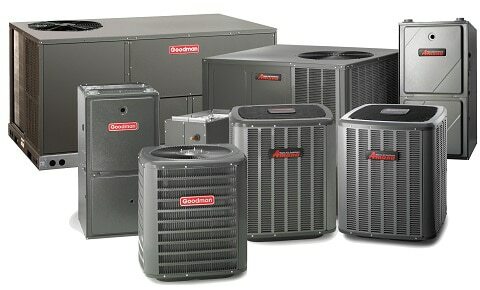 If a replacement is necessary, the condenser will be the first part installed. The condenser turns air from external sources into liquid form. An air handler is mounted onto the system. The air handler is responsible for regulating the condensed vapor. It can either heat it up or cool it down depending on the function that you’ve selected. The air handler is connected to the condenser. Without this connection, the air handler won’t gain access to the vapor stores of the machine. The technician covers all of the connections making sure that all lines run properly. Apart from investing in tools, we also invest in our people and so the installation process is done quickly yet done right the first time around. As a result, our customers get to enjoy the benefits of having a well-oiled machine that’s protected from future malfunctions and other costly issues. You can rest assured that all projects, big or small, are equally as important with us at Phoenix AC & Heating Experts. Have you ever worked with a heat pump before? What you have here is an essential component of any heating or cooling system. It works by collecting air from the outside, regulates it, then redistributes it either as warm air during cooler seasons or cold air during the hot summer months. It's comparable to a compressor but is normally used within a contained space. The heat pump is needed so that air handlers and air-conditioning units can work in harmony. Air handlers regulate air deposits from external sources; the air passes through the heat pump where it’s treated; then the air-conditioning unit releases the treated air into your workspace. There are times when repair work is no longer feasible especially if the heat pump has been worn out over time. In this case, you’ll need a completely new unit. We can help you find the best one for your existing system. In doing so, you won’t have to re-invest in a completely new heating system as well. Depending on what commercial heating setup you’re currently utilizing, we’ll help you decide on heat pumps or recommend a heavier-duty furnace component if need be. By working with us at Phoenix AC & Heating Experts, not only will you be getting these components at the best rates but you can also rest assured that you won’t be ending up with equipment that you don’t need. There are service providers who focus too much on profits and fail to provide the best service to their clients. Well, we at Phoenix AC & Heating Experts focus on helping our customers first. This is because we believe that with good service comes happy, satisfied clients and the rewards for our business follow soon after. Think you need a new heat pump or furnace? Call us today.